These rhinestone covered bottles are beautiful and elegant and will add that decorative touch to any room in your home. If you were to go out and buy something similar to these you would have to pay a pretty penny. They were very inexpensive to make. I already had the glue and the bottles. The 2 bottles with the round tops I purchased at Goodwill a while back, the smaller one was given as a gift, it had oil and reed diffusers in it and the multicolored bottle, the one in the tutorial photos was an empty Fletcher's Children's Laxative bottle that I kept because I liked the shape of it. The rhinestones I purchased super cheap on Ebay. 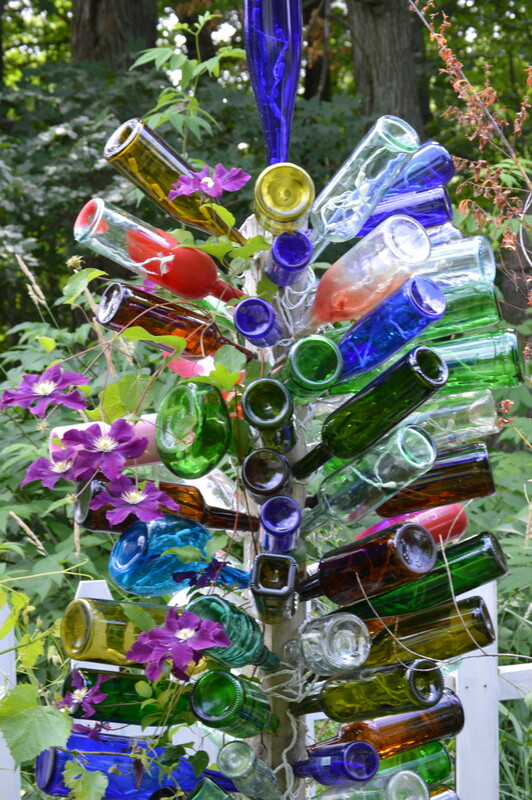 The only other thing that you really need to make these bottles is patience! I compare this type of project to latch hooking, cross stitching and things like that. You have to work on it and it can take a bit of time. The larger the container you want to cover, the longer it will take but stick with it and work on it when you have free time and it will be done before you know it. I'm one of those who can't stop once I get started so I actually was able to finish each of the bottles with the round tops in one sitting. I did the gray one, one day and the next day I did the other. The smaller bottle actually took a few different days working on it... go figure! You can use either plastic or glass rhinestones. I prefer to use the beautiful resin rhinestones that I purchase on Ebay. Not only are they inexpensive but they are gorgeous and totally look like glass crystals or rhinestones. You would never suspect they were made with resin...they sparkle and shine like the real thing. Other than the rhinestones, I think the most important thing is being sure that all your hard work stays put by using a good glue... you don't want to spend all that time and then have the rhinestones fall off. I personally LOVE the Amazing Goop glues. E6000, GOOP, CRAFT Goop are all good choices for this. They are super thick and dry crystal clear and will adhere the rhinestones to the bottles with no problem, just make sure your bottle is clean. 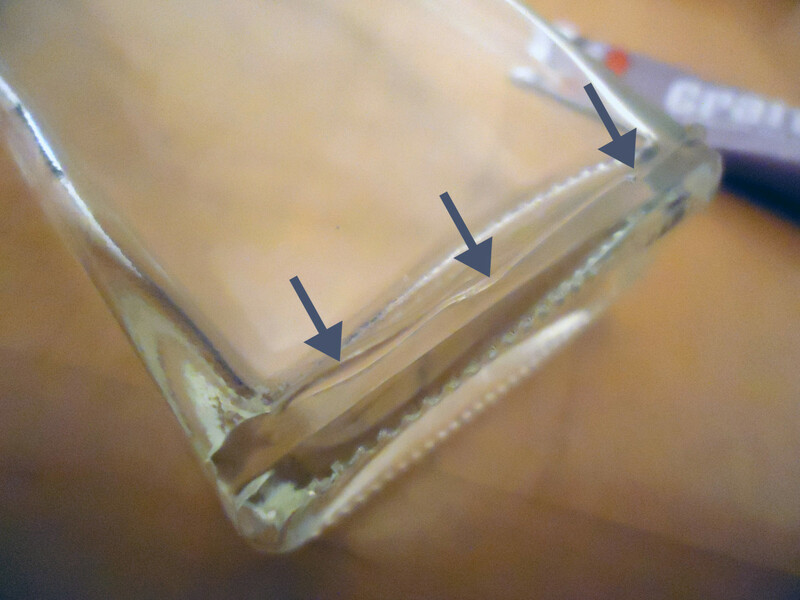 Starting at the bottom of the bottle, squeeze a thin line of glue along one side of the bottle. You don't want the line of glue too thin but you don't want the line of glue to be too thick that it swallows up the rhinestones. 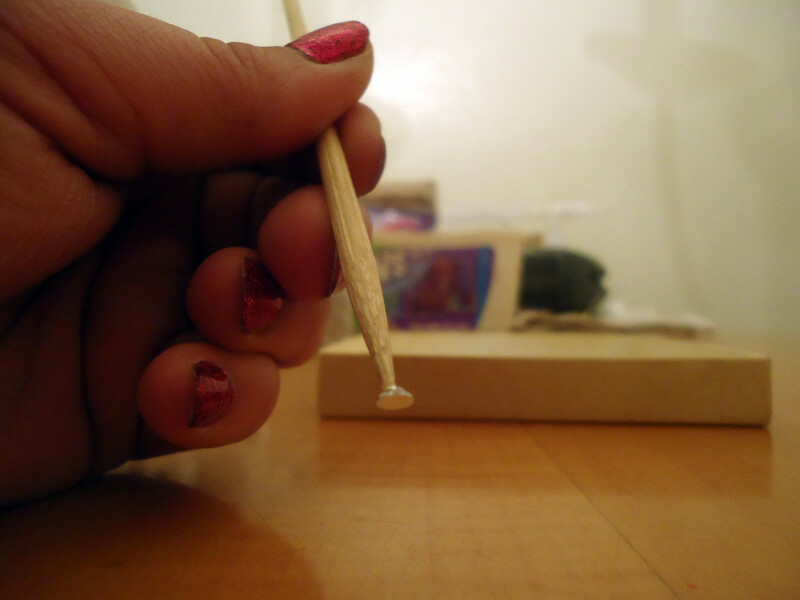 Take the wooden skewer, pointed end and barely dip it into the line of glue just to get a little bit of stickiness on the tip, just a tiny bit of stickiness will work and you will be surprised how long you will be able to use that to pick up rhinestones. 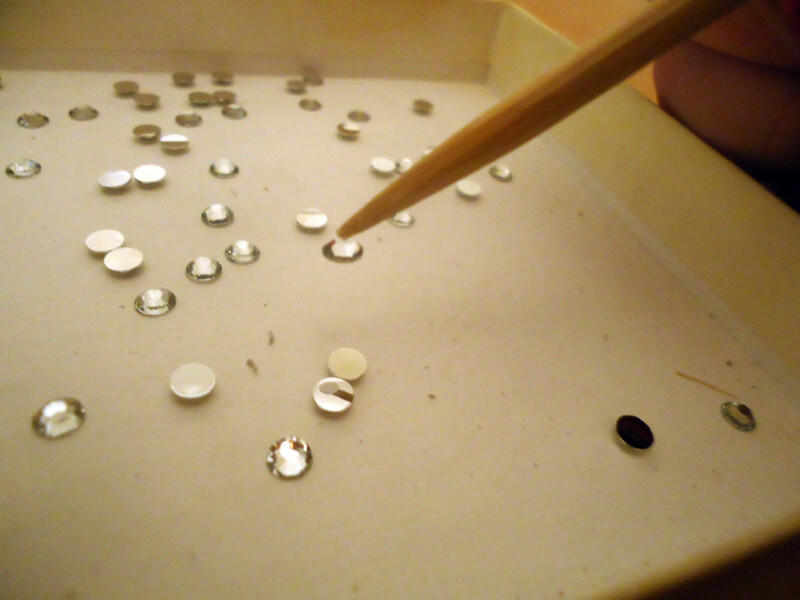 Pour some of the rhinestones into a shallow container like a plastic lid turned upside down. I use the lid of a small gift box. Then take the sticky skewer point and stick it on top of a rhinestone and pick it up and take it and stick it into the line of glue.Keep picking up rhinestones one by one and sitting them onto the line of glue. Place each rhinestone, one after the other with no spaces for best coverage. An indication that you are using the proper amount of glue is if you are having no problem sticking the rhinestones into the line of glue. If the rhinestones are sticking to the skewer and not sticking on the line of glue you either a)have too much glue on the tip of your skewer or b) your line of glue is too thin. 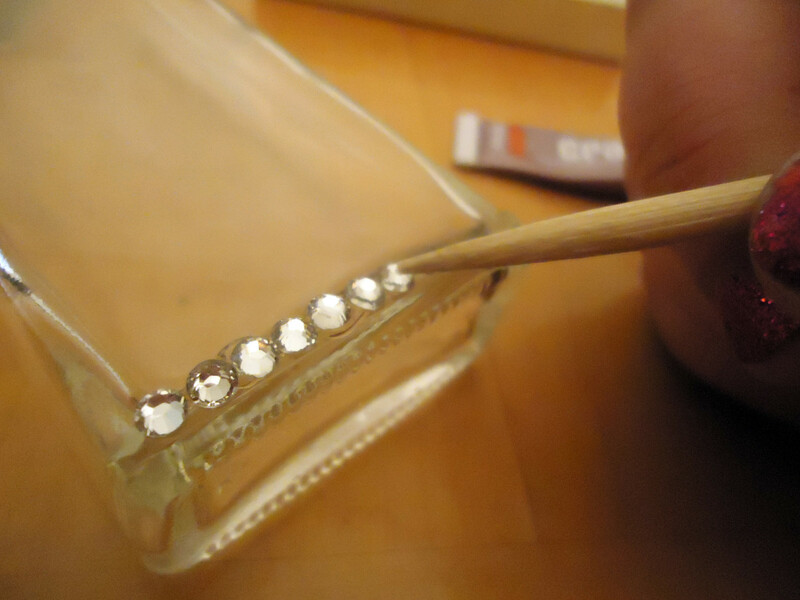 The line of glue should be thick enough that it will grab that rhinestone off the tip of the skewer. **Tip** If you find that the line of glue is starting to dry before you get the row of rhinestones on, you are probably putting too thin of a line of glue, just make the line of glue a bit thicker. Turn the bottle to the next side and repeat. 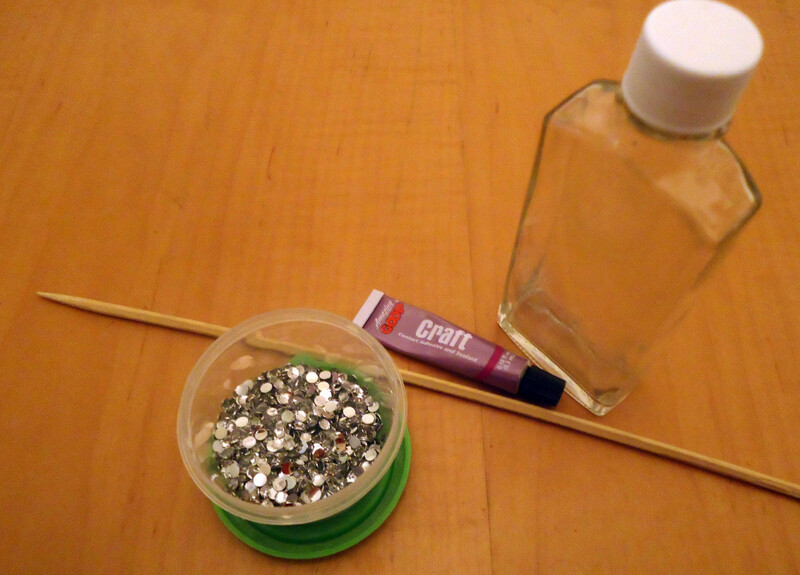 Place the line of glue, use the skewer to pick up rhinestones and place them very close together, one after the other in a row and around the corners. Make sure you are placing them in a straight line. Keep working up the bottle this way, row by row. If you find that a rhinestone or a few is out of line a little, the glue will be flexible for a short time after you've applied the rhinestones and will allow you to slightly manipulate the rhinestones if you need to. 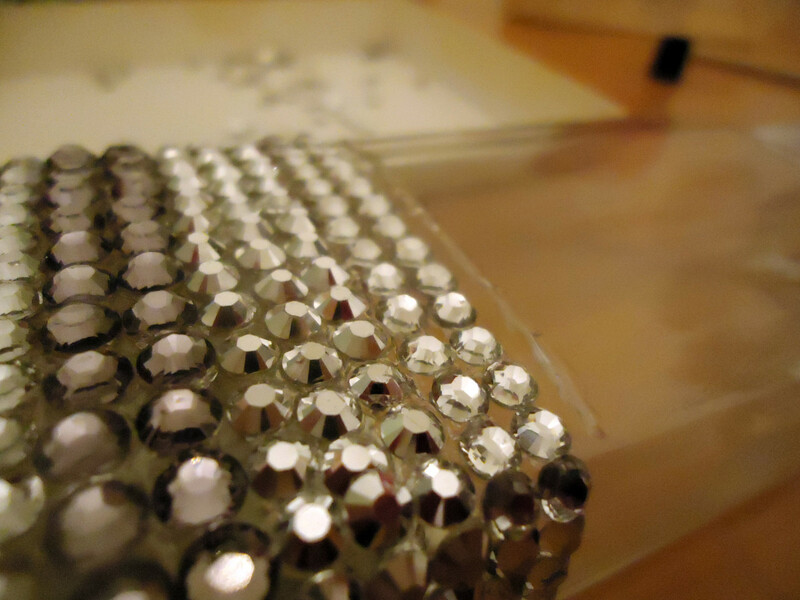 If your bottle has rounded corners, these small rhinestones should glue around them nicely. 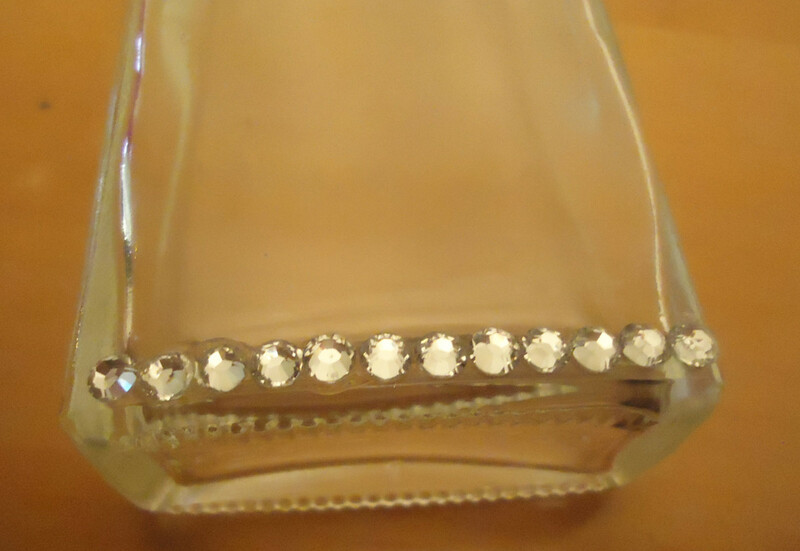 Larger sized rhinestones (over 5mm) would not work as well on bottles with rounded corners. Keep going around the bottle row by row and around the corners until you reach the top of the bottle. If you have a top or lid you can cover that too to complete the look or you can leave it off in case you want to use the bottle as a vase sometimes. Let it dry for a full 24 hours. 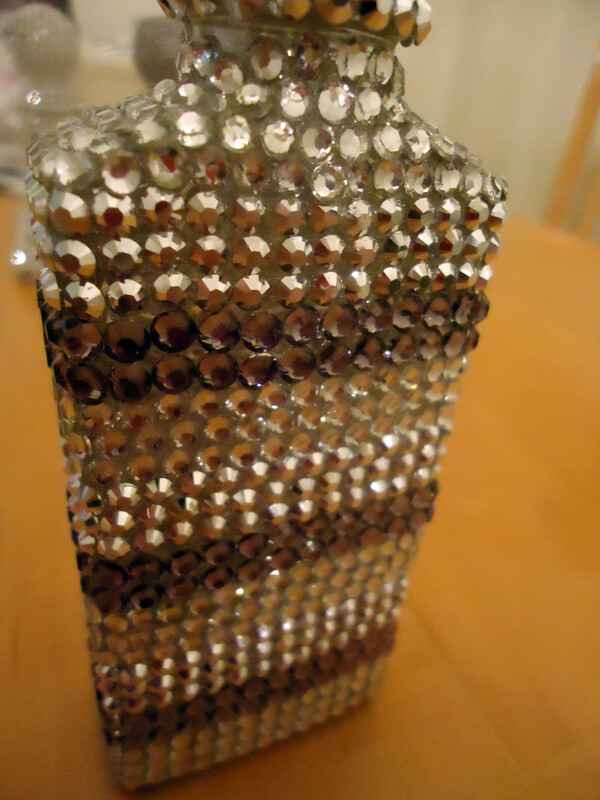 Now you have a beautiful sparkling rhinestone covered bottle to display! Be aware, this project can be addicting! Once you finish the first one, you may feel the urge to make more and more. You have lots of options when working with rhinestones! An alternate way to apply the glue is dot by dot. Simply push out a dot of glue from the tube and scrape the sharp tip of the skewer across and pick up the dot, then transfer the dot of glue onto the surface and pick up the rhinestone and stick it on the dot of glue. 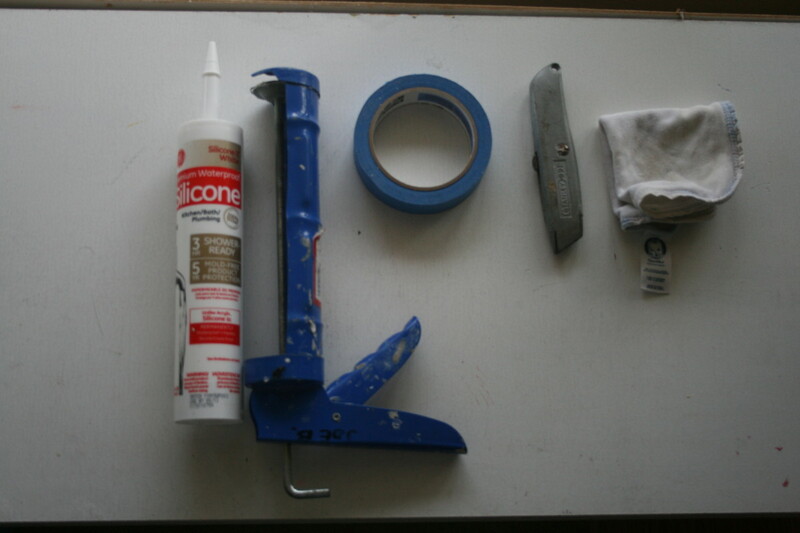 If you are lucky enough to be using glue that has a narrow tip applicator just dot the glue right on. Want to color your bottle first? 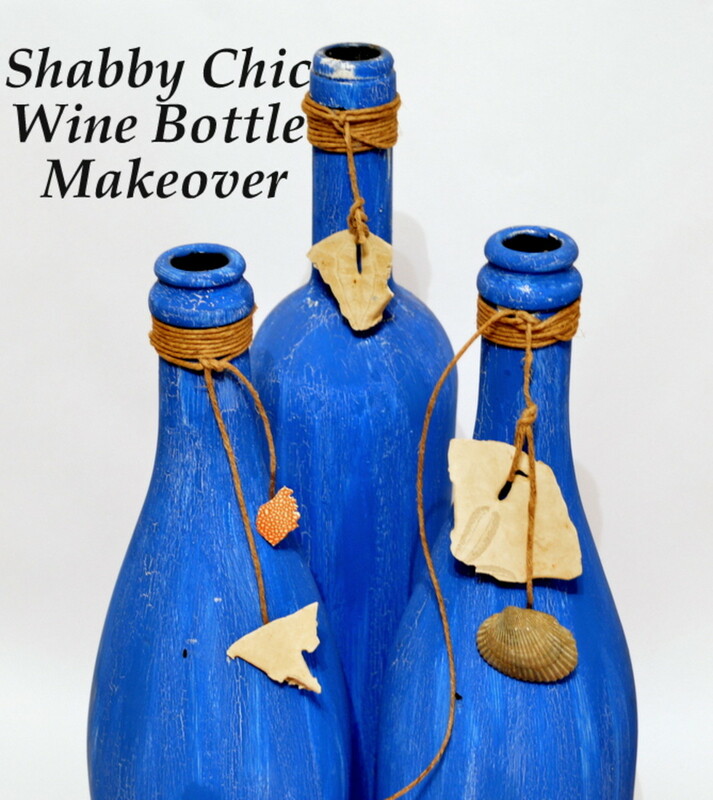 Pour some paint inside, move the bottle around to coat the interior, pour out the excess paint and let it dry. 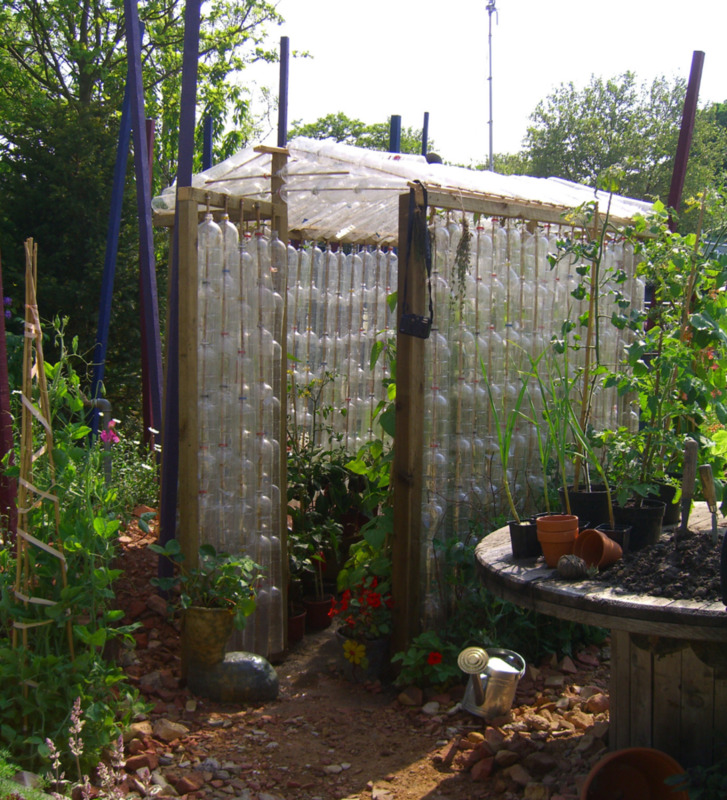 You can cover plastic bottles and containers and metal ones too. 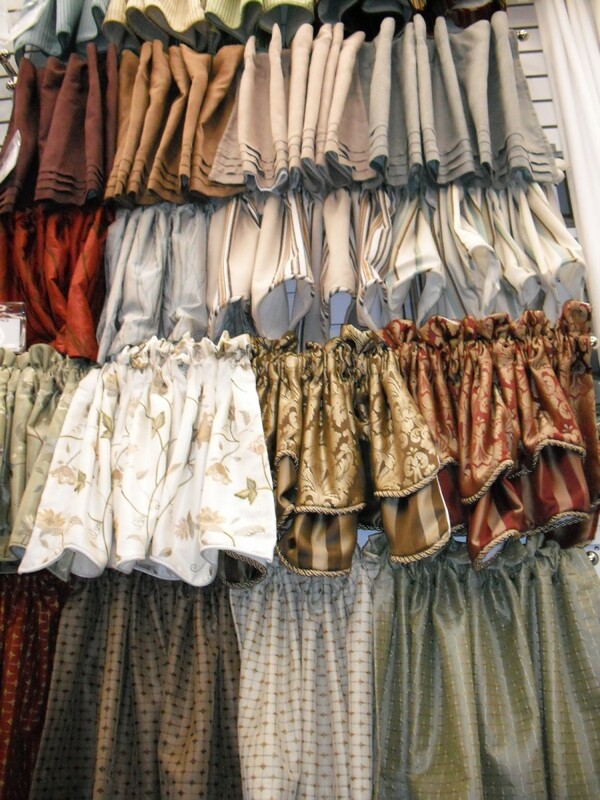 You could try doing different patterns. You can use a bit larger sized rhinestones for larger pieces and smaller size for small pieces. As far as resin rhinestones, in my opinion, the larger they are, the more fake they look. The smaller sizes look more "real". There are generic brands of the Swarovski crystal now, so you don't have to pay big bucks for nice glass crystals. Shop around on Ebay and Amazon. You may be surprised. Just make sure it's not the "hot fix" kind. Deborah Sexton- Thank you so much!! Funway- Yeah, that is an option too. Personally I like to glue them on.. it's relaxing to me and I also like to save money because where I get my rhinestones, they are very inexpensive. What about just take several dollars to buy a rhinestone sticker. The bottles are beautiful. I know a few people who would love to have one. Great idea. 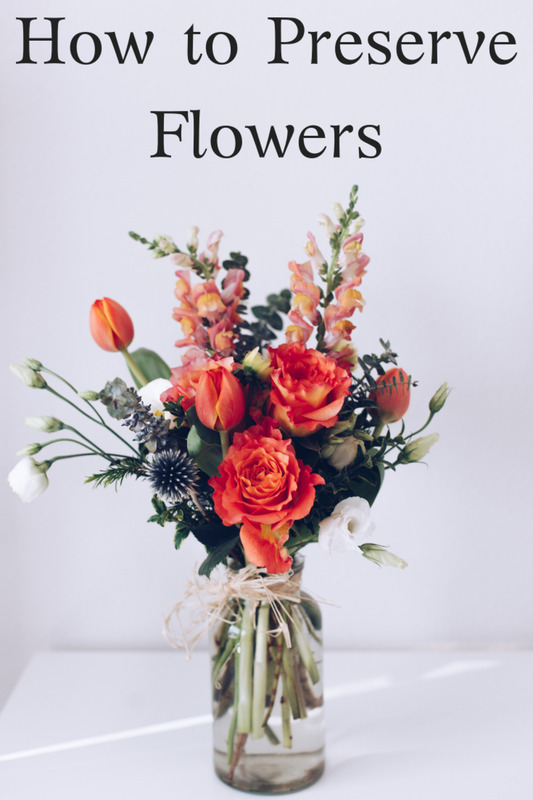 These are gorgeous - what a great idea!! Thanks for sharing these directions and the great pictures. I'm excited to give this a try!! yvonne- I get my rhinestones on ebay from the seller, bead_better. They are resin but they look just like crystal and they are really inexpensive. Stacy- I just counted all the rhinestones I glued onto the bottle above with the horizontal stripes and different colors. The bottle is 5 inches tall including the cap and about 2 inches wide. It took 1080 rhinestones to cover the entire bottle and about 82 more to cover the cap. The gray rhinestones were 20ss but I included them in that count so it you are wanting to use all 16ss, it will be a little more than 1080, probably closer to 2000. I know it sounds like a lot of rhinestones but the ones I get are like 4 bucks a package of 1000 so I have a ton of them and don't have to worry about not having enough. I wouldn't do this with real crystals, it would just be too expensive for me. Hope this helps! everythingdazzles- Thank you :) It did take me a while to get them all glued on but you are right... it was relaxing too- I love stuff like this. I have always thought I should learn how to knit.. It seems like it's something I would probably enjoy if I could ever make myself learn. Thank you so much for dropping by! These are so pretty! IT would definitely take a lot of patience to complete a project like this. Probably a good stress release. Hyphenbird- I'm glad you like the sparkly bottles.. thanks so much for dropping by! TattoKitty- You are welcome :) I agree, I think these would make a great homemade gift for sure. I hope you do give them a try.. they are simple to make. You just need a little bit of patience and your bottle will be sparkly and pretty before you know it. Thank you for dropping by! Vinaya, these are gorgeous. A young friend of mine is in Girl Scouts and this would make a great project for her. It seems easy enough and certainly helps one practice patience. I love these, thanks for the great idea. Gorgeous idea for a wonderful homemade gift...I'm definitely going to try this one; simple, easy, and totally BLING-tabulous!! Thanks for sharing! My mother used to be a good craftswoman. She created many handicrafts such as this one. However, her creativity did not pass into her daughter. This easy to follow guide will help many people who want to create art work out of simple things. craftybegonia- Thank you :) Thanks for stopping by! moonlake- Thank you for the vote up, glad you like them :) They would make great inexpensive Christmas gifts for sure. 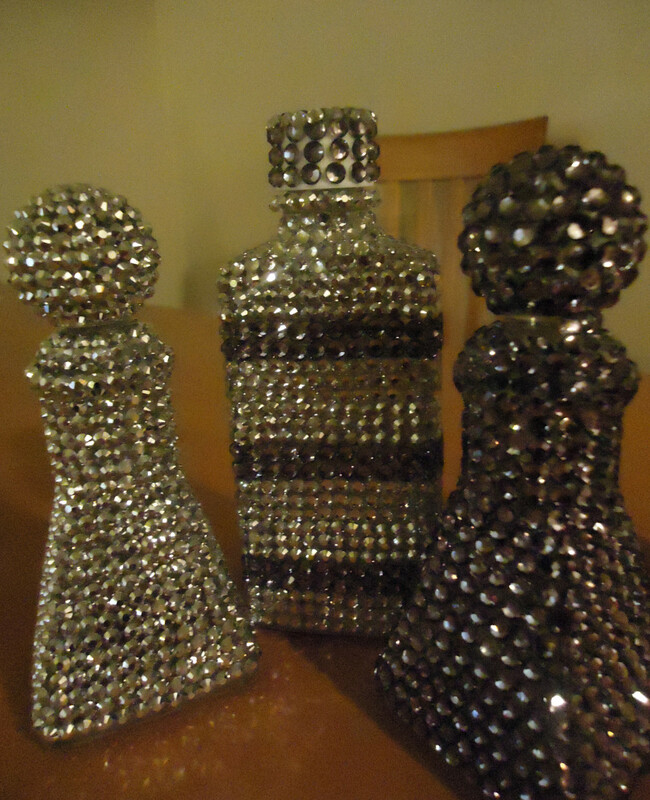 rebeccamealey- You are so welcome for the tutorial, these sparkly bottles are really are easy to do. Thank you so much for dropping by and for such nice comment! ThelmaC- I will definitely add a pic of the larger bottle when it's finished :) I haven't started on it yet, but once I do, it won't take long. Thank you so much for dropping by! Beautiful bottles. Love the rhinestones on them. Good Christmas gift. Vote uP. Those are beautiful, Jamie. Very cool. I have always adorned rhinestones. I call them "poor girls diamonds." Thanks for the tutorial . It seems like it would be easy to follow and do. Great job in explaining how to do these and showing us how easy they are. I hope you add a picture of the larger bottle you are working on when you finish it. You did a great job on the pictures of the bottles also! Wow, Jamie! I'm already thinking of ways to make green and red for Christmas gifts! Great hub! I always thought the crystals were so expensive; I didn't even look at how reasonable they are......until now! This is a terrific idea! Love the finished look of the rhinestone covered bottles. Question...where did that stick come from? Is it sold with the rhinestones? What makes the tip sticky? Up votes and sharing. 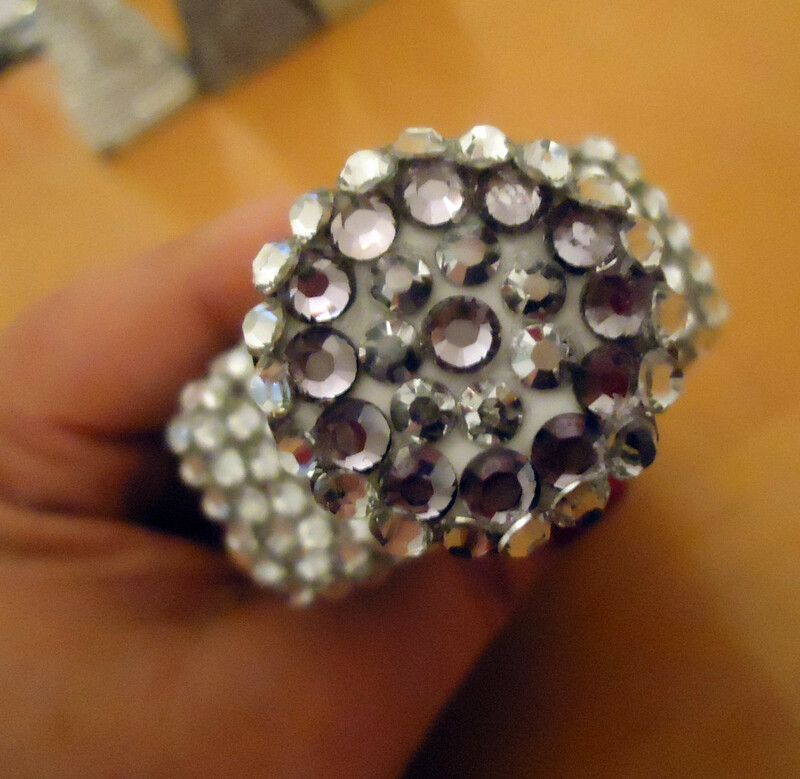 This Hub really inspires me to make rhinestone covered bottles! I'm going to use any surplus Korean hotfix rhinestones I have and if I have enough money laying around I'd aim for the Swarovski ones just as accents. Well, I'd buy more in the future, providing that my home-based biz would be VERY fruitful! teaches- You are welcome.. hope all is going well with you! Yes, they would be perfect for a vanity. They turned out a lot fancier than I thought they would. I mean, I knew they would turn out nice but I didn't realize they would be that pretty and glitzy. Thanks for dropping by! These are so pretty and I could see these are pretty pieces on my vanity. Thanks for the ideas. KeriProctor88- Thank you so much.. I'm glad that you like them! They are super easy to do, I think the secret is getting good rhinestones. As long as the rhinestones are pretty and sparkly, you can go wrong. Thanks for dropping by! randomcreative- You are welcome :) I tried to convey in the tutorial how easy they really are to make and that the biggest challenge was having the patience.... I'll definitely be doing some more of them for sure. This effect is beautiful! Thanks for another great tutorial. This hub is amazing!!! I cannot wait until I buy a home one day, and get to decorate it like with these items. This is a really great idea, and it seems fun. 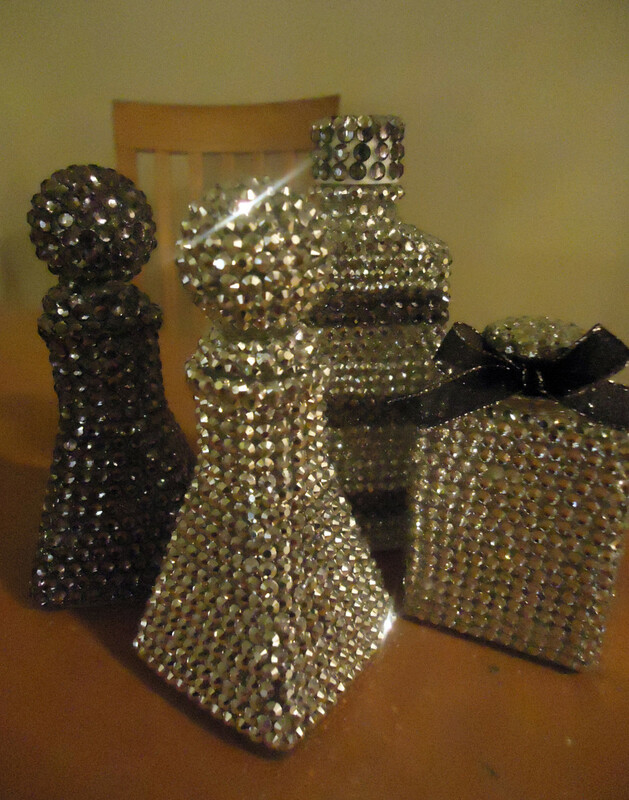 The bottles look really beautiful, and I love Rhinestones too. Anything shiny like that, I love to put around my house. 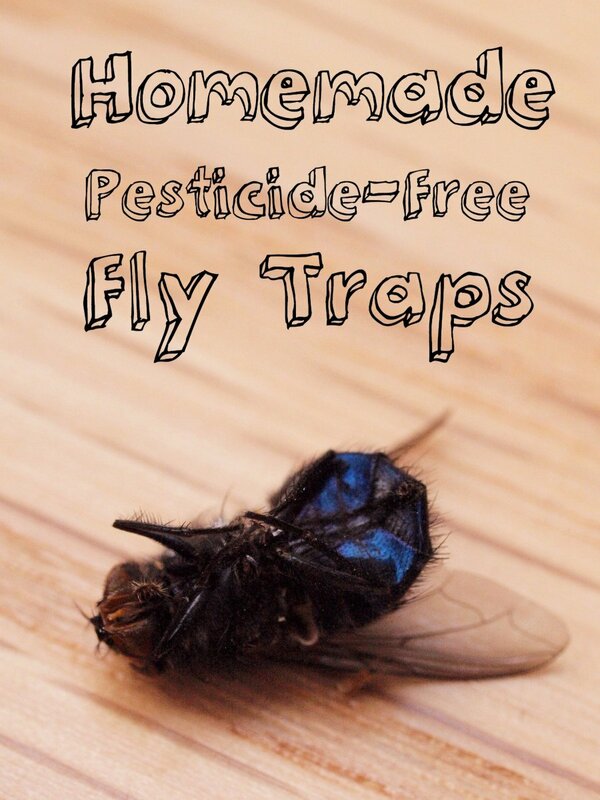 These are some great tips! Hi Jamie, this is such a beautifully written hub and those bottles look so awesome . You have explained it so well that it should make it so easy to do. Wow, carol.. thank you! What a compliment :) I am getting ready to start a larger sized bottle and I know it will take a little bit to get it finished but it will be SO worth it. So happy you bookmarked this. Thank you so much for dropping by! galleryofgrace- You are welcome.. so glad you like them! I agree, these would make great Christmas gifts. I am getting ready to start on a larger sized bottle.Thank you for stopping by! That is the most gorgeous bottle I have ever seen. I can see it takes tremendous patience but what an outcome. The bottle would light up any area in the house. Now if I could just get that really important ingredient..patience. Going to bookmark for when that day arrives. Wow what a fantastic idea. I have lots of bottles to choose from. It'll be fun trying to decide which ones to cover. I'm thinking these would make great Christmas gifts even if they're empty. Thanks for sharing this article. These are gorgeous! I love shinny stuff! :) Photos and instructions are clear and easy to follow. Voted up and pinned! What a great guide! Those bottles are so beautiful that it makes me want to run out and get all the stuff to make them right now! My mind is racing with all the ways that I could use these bottles, pinning this one.